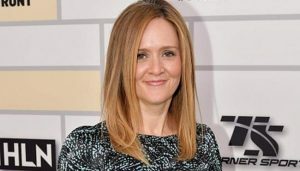 Comedian Samantha Bee used to the opening of her show Wednesday to apologize again for using a vulgar insult to describe Ivanka Trump, which had led to days of cable news discussion and even condemnation from the White House. “I should have known that a potty-mouthed insult would be inherently more interesting juvenile immigration policy,” Bee said. While discussing President Trump’s immigration policies last week, Bee called Mr. Trump’s daughter and White House adviser Ivanka Trump a “feckless c***.” “”Put on something tight and low-cut and tell your father to f**king stop it,” Bee said. Bee said she would “do anything” to help the immigrant children who have either been separated from their parents or lost in the immigration system, and she apologized for distracting from the issue. Bee’s comment about Ivanka Trump came just one day after Roseanne Barr’s racist tweet led ABC to cancel “Roseanne.” Bee’s remark led many conversatives to claim a double standard for liberals, and for others to condemn the vulgar language.